Long term that will probably my goal. Think I might tinker with a signal box and mount switches in the roof for all the motorised points. Ah cool, thank you. May need to wire it as 2 switches as an interim measure and add the CDU when I motorise some of the other less accessible points. 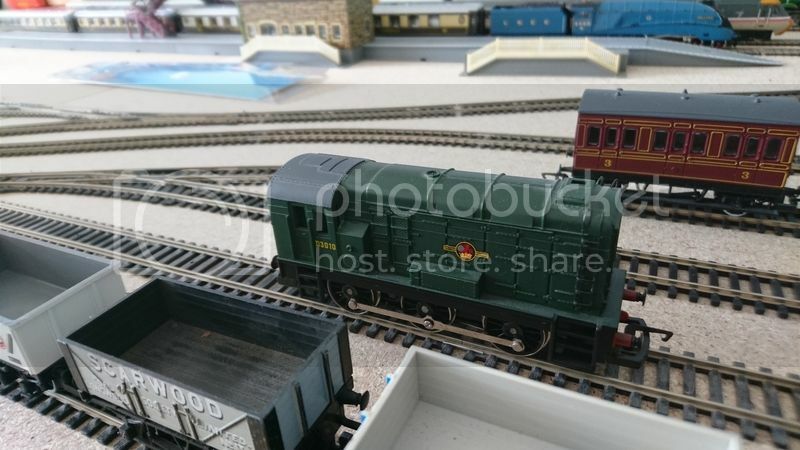 Converting old locos to DCC? Topic: Perhaps a Guilty Secret ? Re: Perhaps a Guilty Secret ? Remember watching Ashes to Ashes and spotting a mk6 Transit van. As well as the howler that was the Quattro itself which was a later model than it should have been. Hello and welcome. Appreciate the slow progress thing, mine lept forward in Jan then stalled as I keep mucking about with other things. 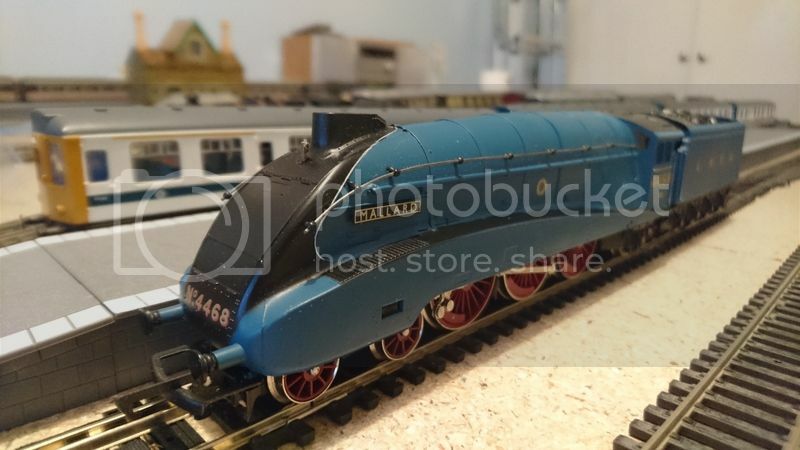 Topic: My first ever model railway build. Re: My first ever model railway build. Nice to hear as I didn't bother with underlay. Seems a recurring theme. This arrived 20 mins ago. Me too. Imagine the business a stall at King's Cross would have done. 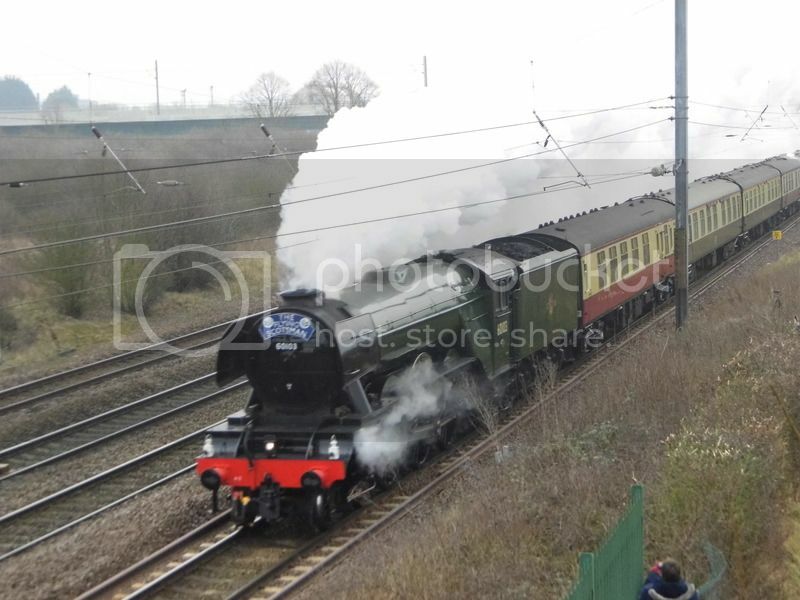 Just seen her steaming North at a small pedestrian bridge in Ickleford, Hertfordshire in the frost. Magnificent sight, sound and smell. Was surprised just how many people were stood at the secluded spot. Another addition but still no notable progress with the board.